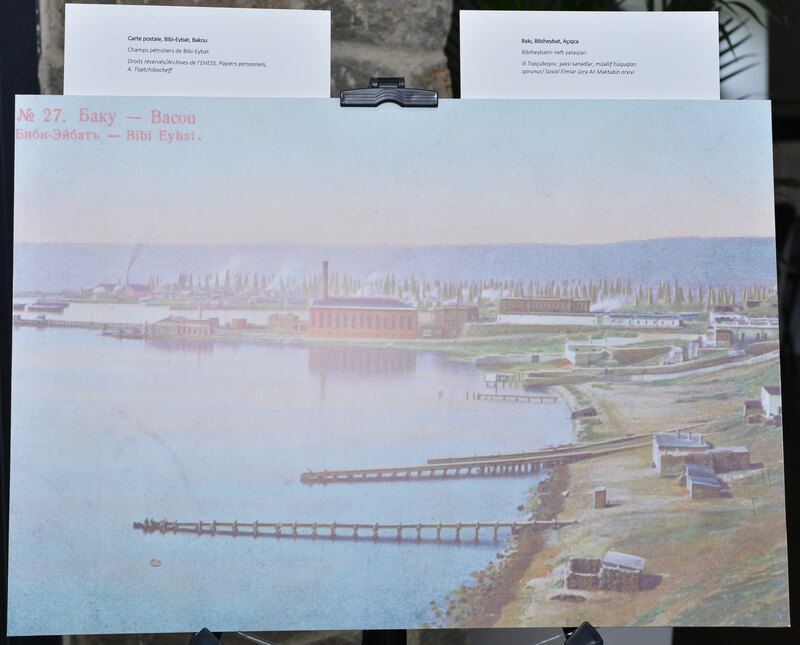 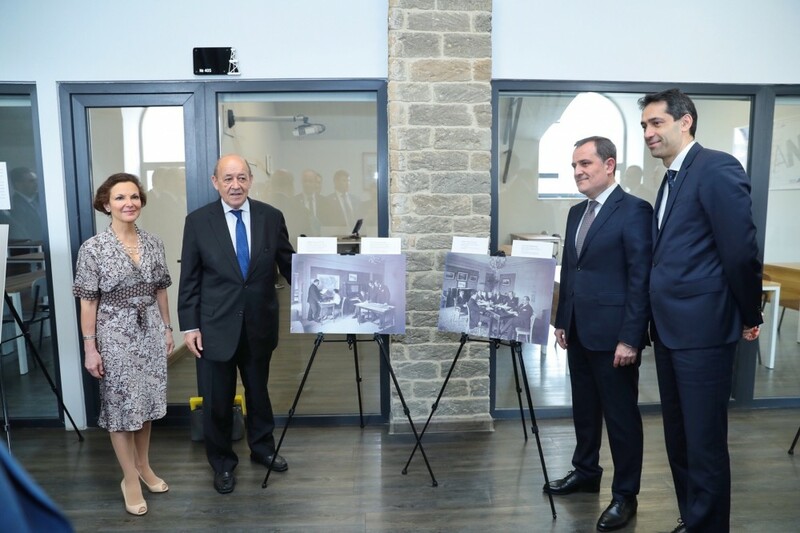 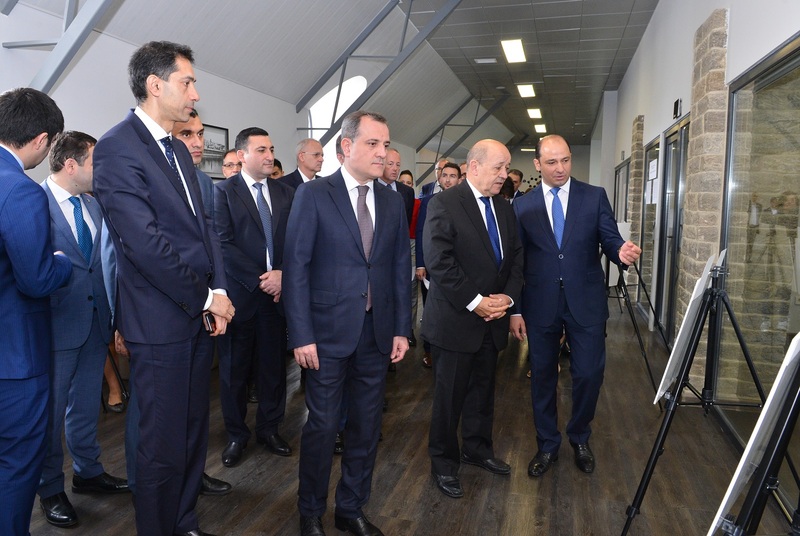 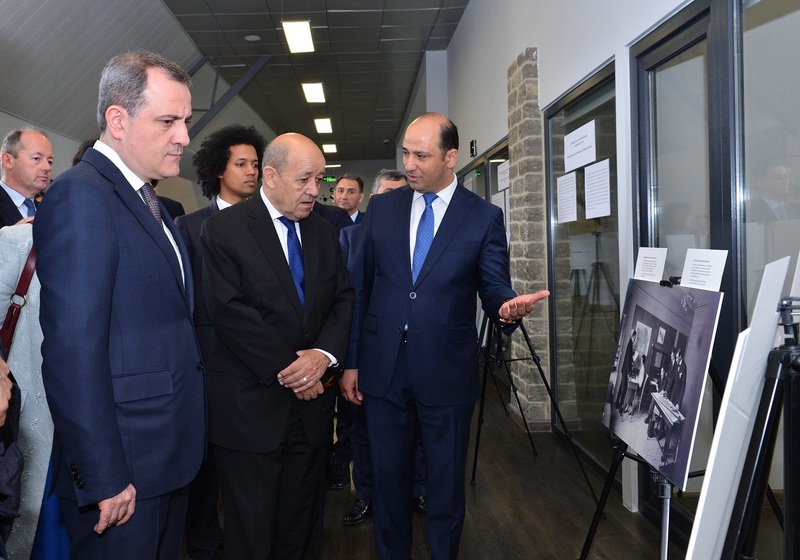 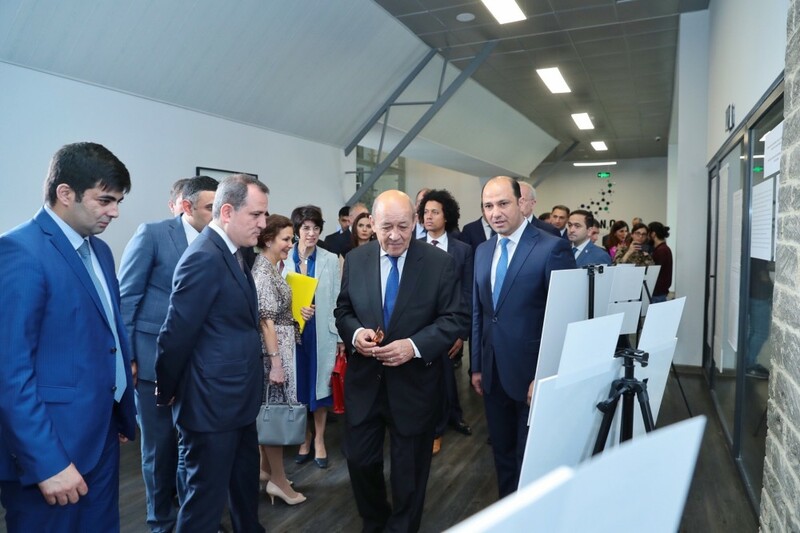 The official opening ceremony of the archive exhibition of the Foundation of the Ministry of Europe and Foreign Affairs of France dedicated to the 100th anniversary of the Azerbaijan Democratic Republic was held at the Azerbaijani-French University (UFAZ) under Azerbaijan State Oil and Industry University (ASOIU) on May 27. 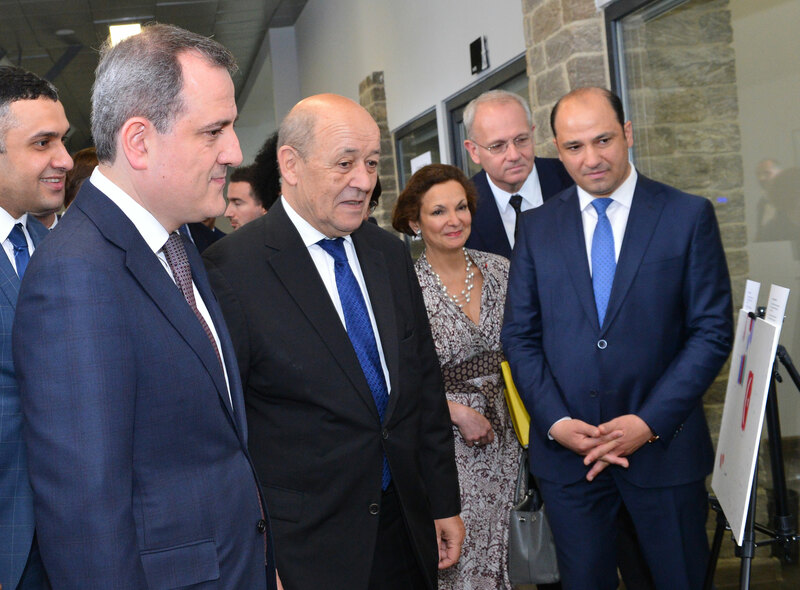 The event was attended by Minister of Europe and Foreign Affairs of the Republic of France Jean-Yves Le Drian, Minister of Education of the Republic of Azerbaijan Jeyhun Bayramov, Rector of ASOIU, Professor Mustafa Babanli, Ambassador of France to Azerbaijan Aurelia Bouchez, Ambassador Extraordinary and Plenipotentiary of Azerbaijan to France Rahman Mustafayev, presidents of Strasbourg and Rennes 1 universities, President of the National Centre for Space Studies of France Jean-Yves Le Gall, President of Airbus DS France Nicolas Сhamussy, Chairman of Azercosmos OJSCO Rashad Nabiyev, students and media. 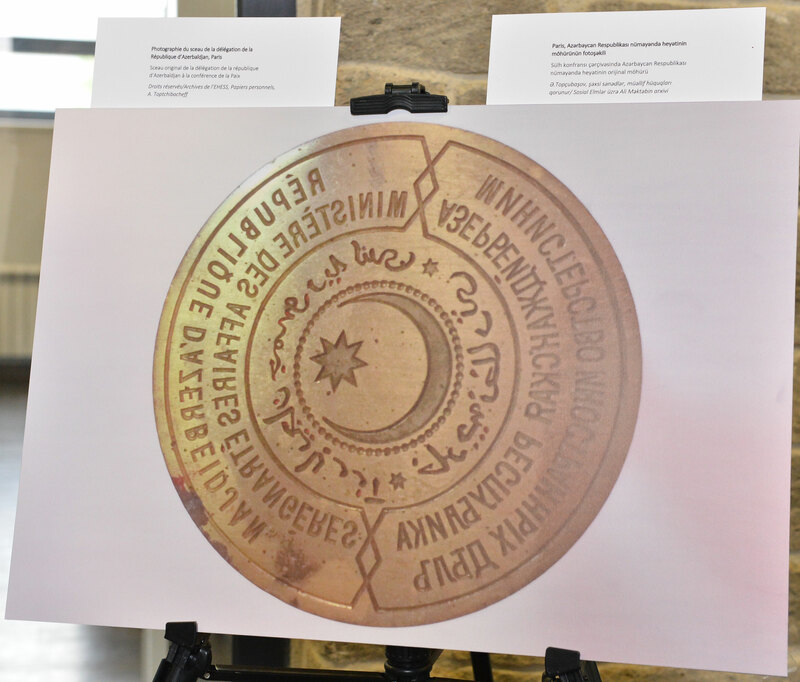 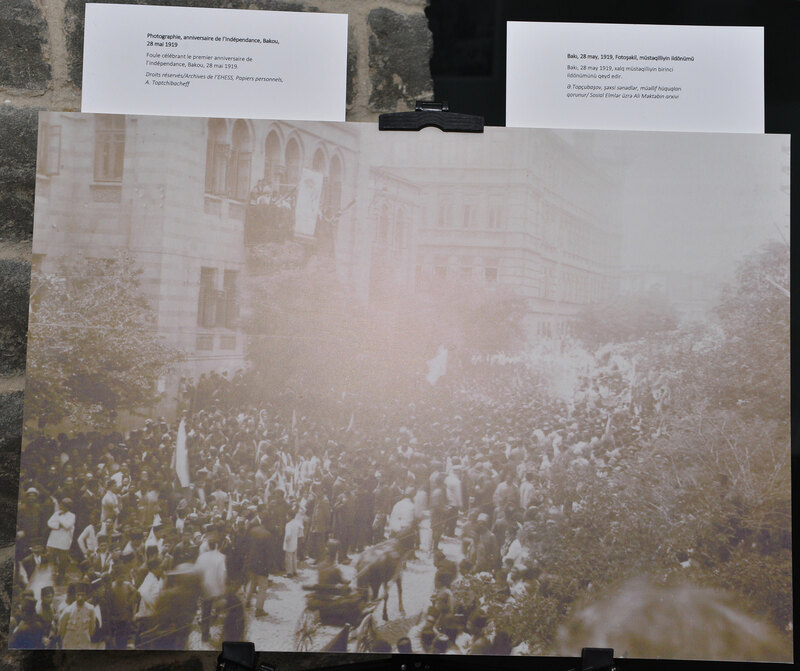 Guests first viewed the displays of the archive exhibition dedicated to the Azerbaijan Democratic Republic. 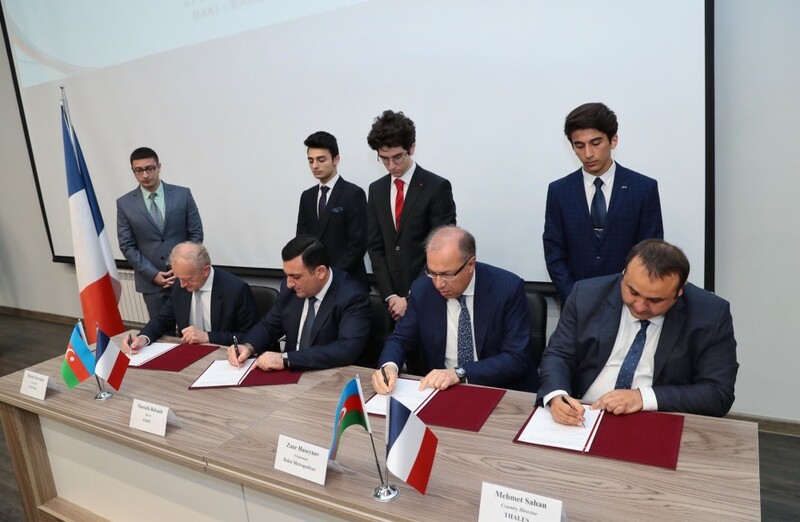 Later ministers joined the ceremony of signing the memorandum of cooperation between French company Thales, Baku Metro CJSC, German company Schneider Electric and UFAZ. 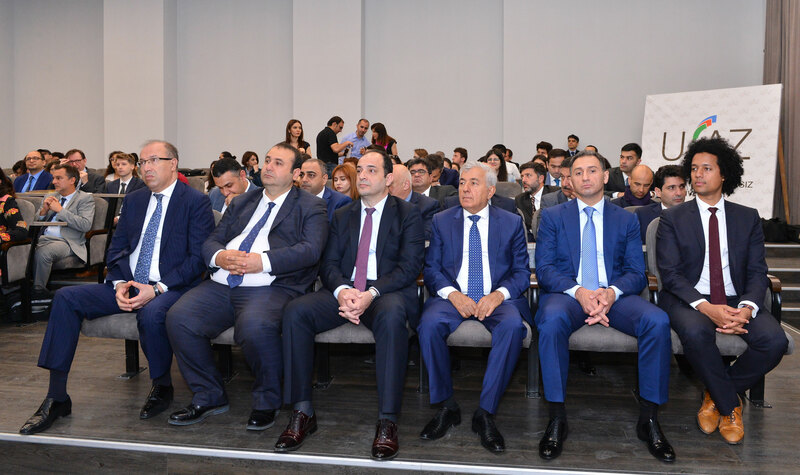 Addressing the ceremony, Minister of Education Jeyhun Bayramov greeted the guests and spoke about the historical significance of the exhibition organized on the occasion of the 100th anniversary of the Azerbaijan Democratic Republic. 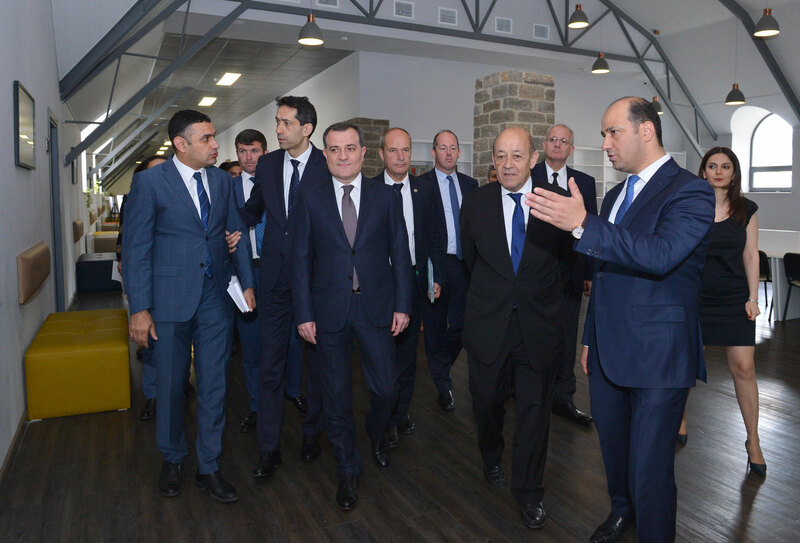 Minister said that implemented on the joint initiative of the presidents of Azerbaijan and France, the UFAZ project is a new stage in the multilateral development of ties between two countries. 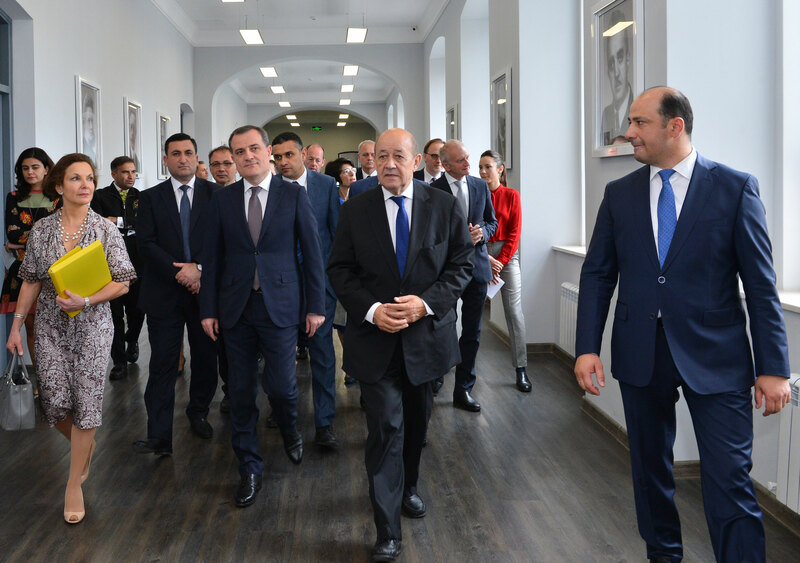 He noted that the successful continuation of the project is a result of a unique cooperation in the field of education. 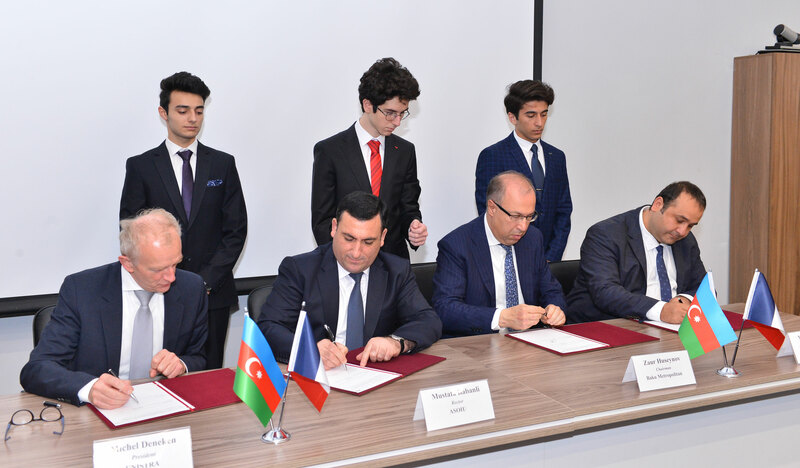 Minister viewed attention and care of the President of the Republic of Azerbaijan Mr. Ilham Aliyev to the UFAZ project as an important factor in achieving this success and expressed confidence that the academic exchange of UFAZ students and future activities will deepen the relations between two countries. 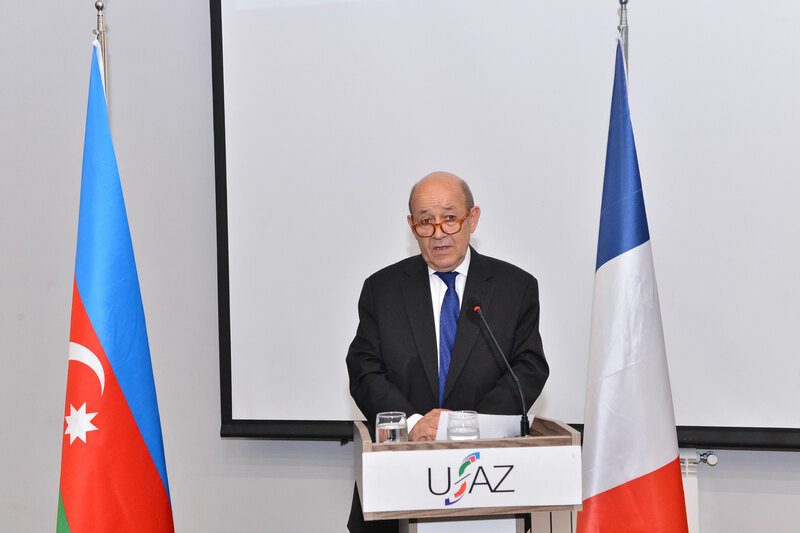 Minister of Europe and Foreign Affairs of France Jean-Yves Le Drian extended his congratulations on the occasion of May 28 - Republic Day, wished the people of Azerbaijan to live in peace and calmness. 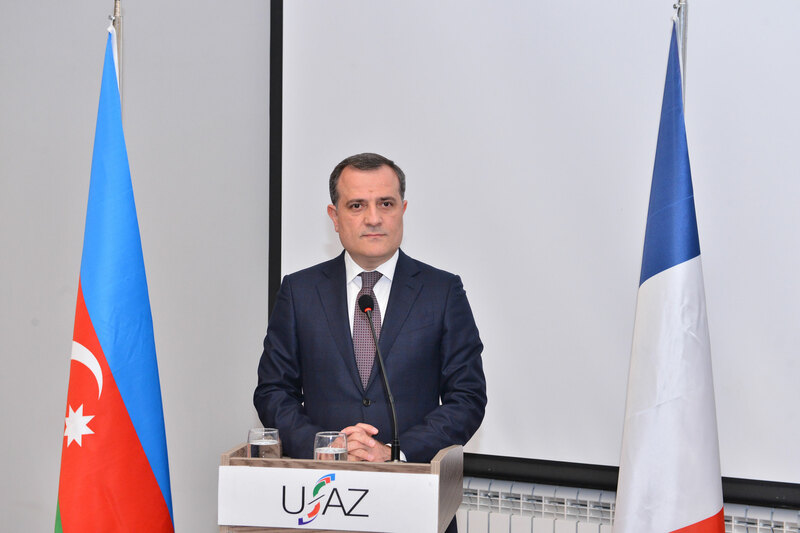 Speaking about the significance of ties in the field of education and joint cooperation between our countries, the French minister said he is pleased with the establishment of UFAZ. 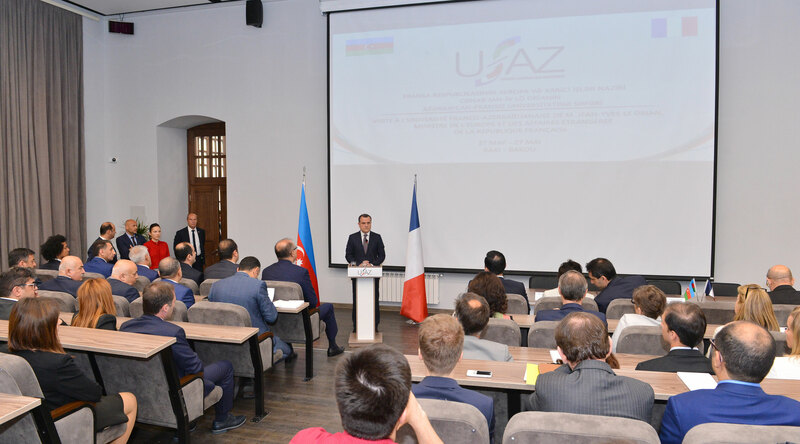 A meeting with UFAZ students was then held. 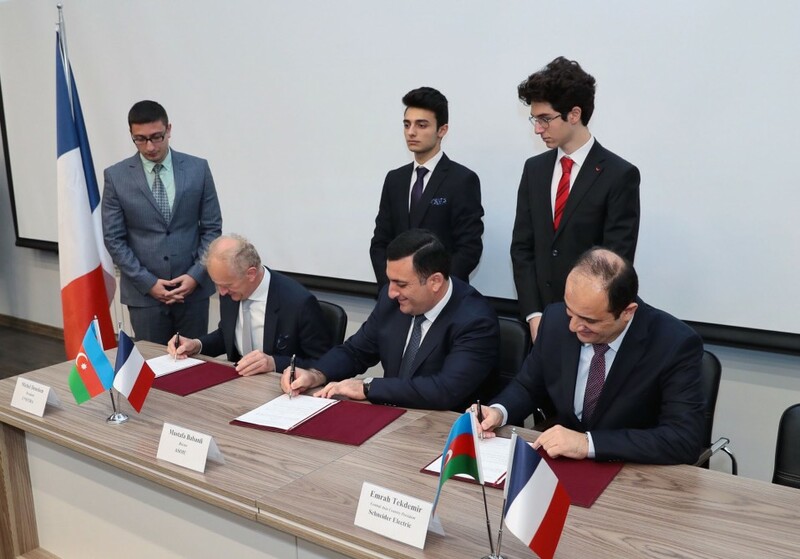 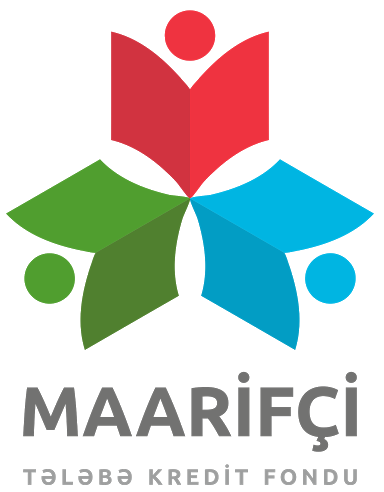 The Azerbaijani-French University (UFAZ) is a project which was launched upon the initiative of the presidents of Azerbaijan and France at the bilateral meeting held in September 2014. 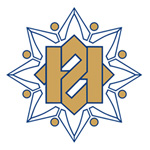 Education at UFAZ is carried out in four specializations: Geophysical Engineering, Chemical Engineering, Computer Science and Oil and Gas Engineering. 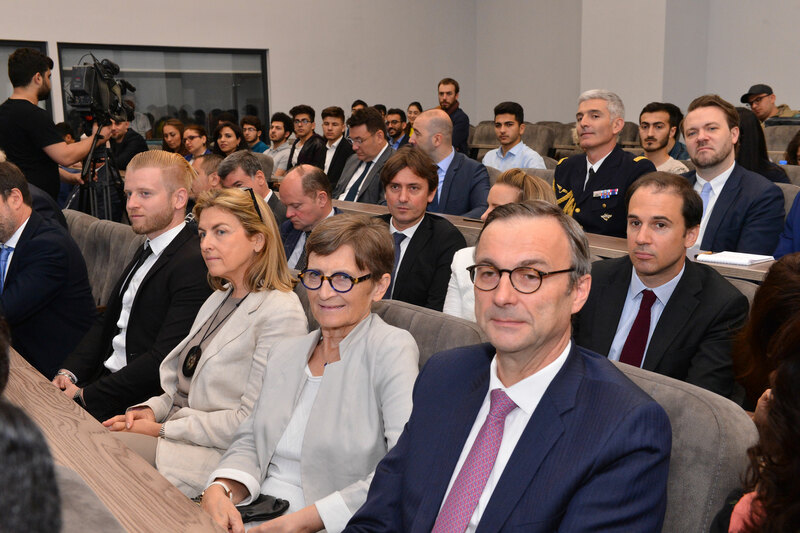 The first intake of students to UFAZ was in the 2016-2017 academic year. 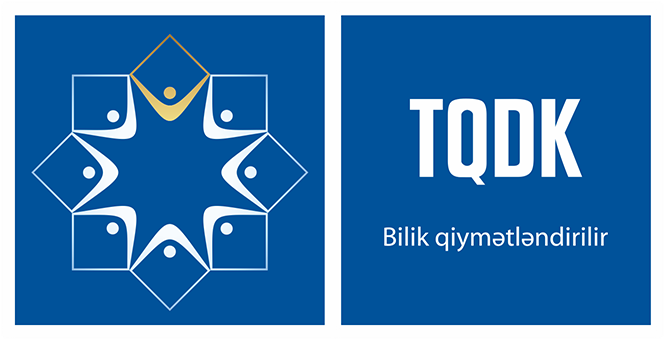 Currently, 284 students are enrolled in the university. 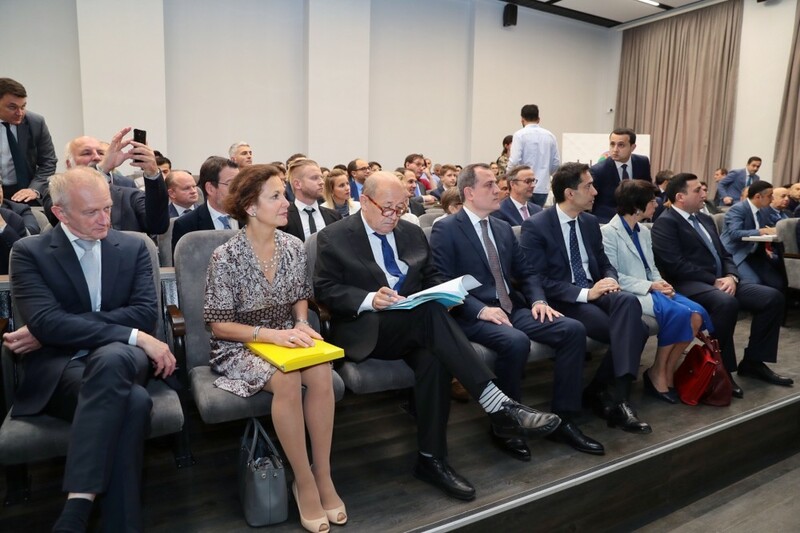 UFAZ graduates will receive two diplomas (University of Strasbourg and ASOIU and University of Rennes 1 and ASOIU - students studying Oil and Gas Engineering).